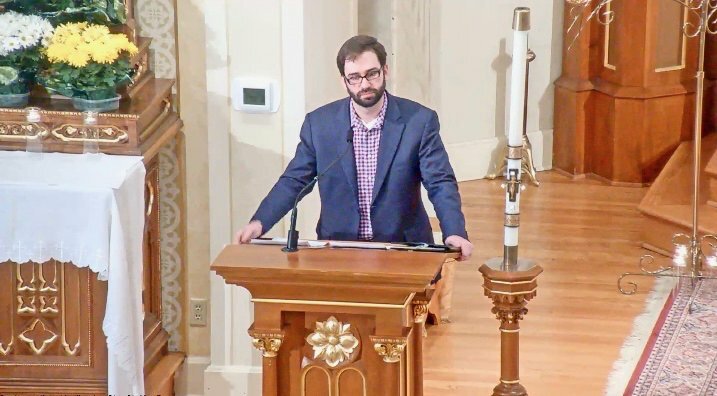 The April 6 talk by popular Catholic author and blogger Matt Walsh at St. Mary of Pine Bluff Catholic Church is now available via video replay. Walsh’s talk, “Satan’s Tactic for Christian America: Don’t Awaken Their Courage!” was delivered to a full church and live-streamed to the internet. 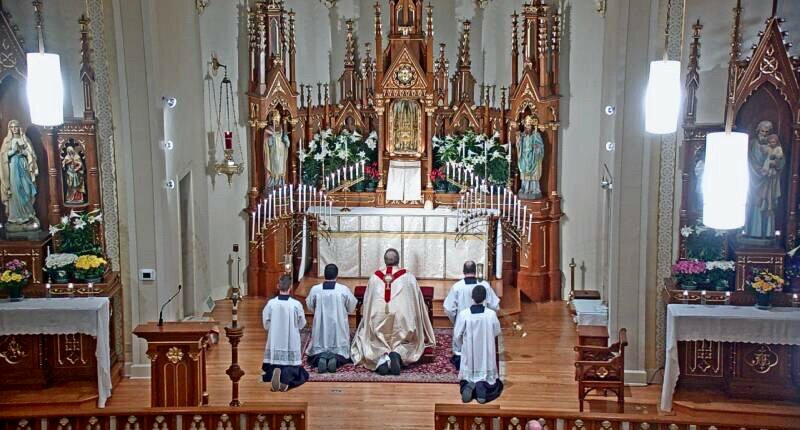 The speech was preceded by an hour of Eucharistic adoration, and followed by Benediction. The evening was sponsored by the Knights of Divine Mercy and the Ladies of Divine Mercy. Father Richard Heilman prays before the Blessed Sacrament at the Benediction following the April 6 talk.